The 5G Communications online billing portal is here! You can now log on to view your bills online. You can also analyse your inbound call traffic if you subscribe to the CallPro service – contact us for more information. To log on to the portal, click on the link 5gcomms.com/onlinebilling. This will take you to the portal login screen. 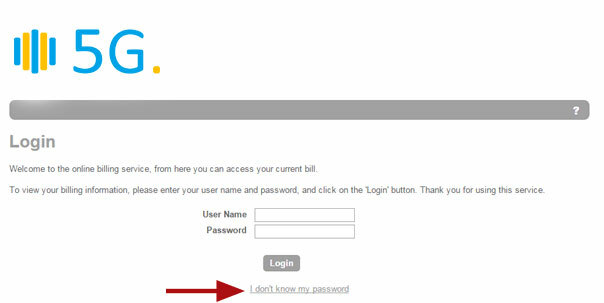 To log in to the portal for the first time and set up your account password, please click on the “I don’t know my password” link. Enter your portal username. Your username is your Customer Account Number which can be found at the top of your previous bills or on your most recent bill notification email. Then enter your email address. You must use the email address registered on your 5G Account that received the bill notification. Press submit. 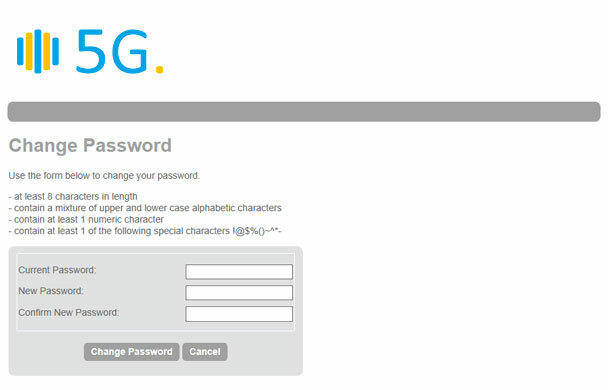 Once you have submitted your request, an email will be sent to you from billing@5gcomms.com with a link to set up your account password. Please follow the “Password Reset” link contained in the body of the email. This link will take you to the “Change Password” page, where you can set up you own password. 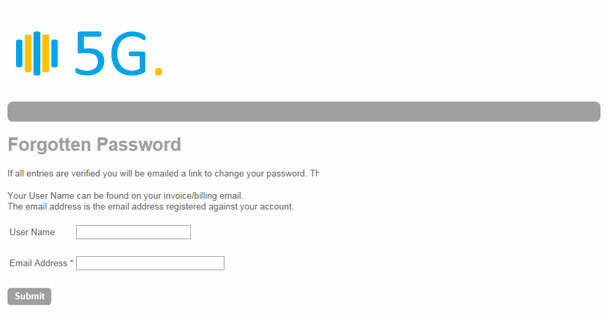 Please note that your password is linked to your account and not your email address. Once confirmed, you will be able to login at http://5gcomms.com/onlinebilling and access copies of your bills and other data.